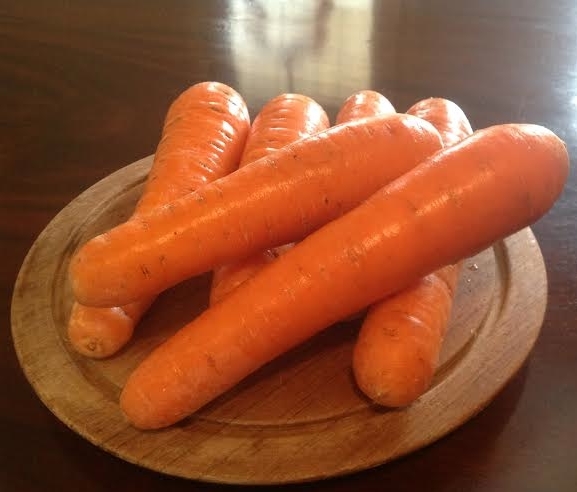 Our Ontario Nantes carrots are a good way to keep eating locally grown food through the winter. This side-dish recipe is made with your kitchen’s basic ingredients and comes together quickly. At the end we’re including two ways you can use any leftover cooked carrots in a soup or a Morrocan-flavoured salad. Reesor’s Market & Bakery is carrying the Nantes variety of carrot from now until the new crop of spring Ontario carrots is harvested. Recognized by their blunt tip and their delicious, sweet flavour Nantes are the favourite of many of our customers. Nantes carrots from the Holland Marsh, the heartland of Ontario’s carrot producers, are tasty fresh or cooked. 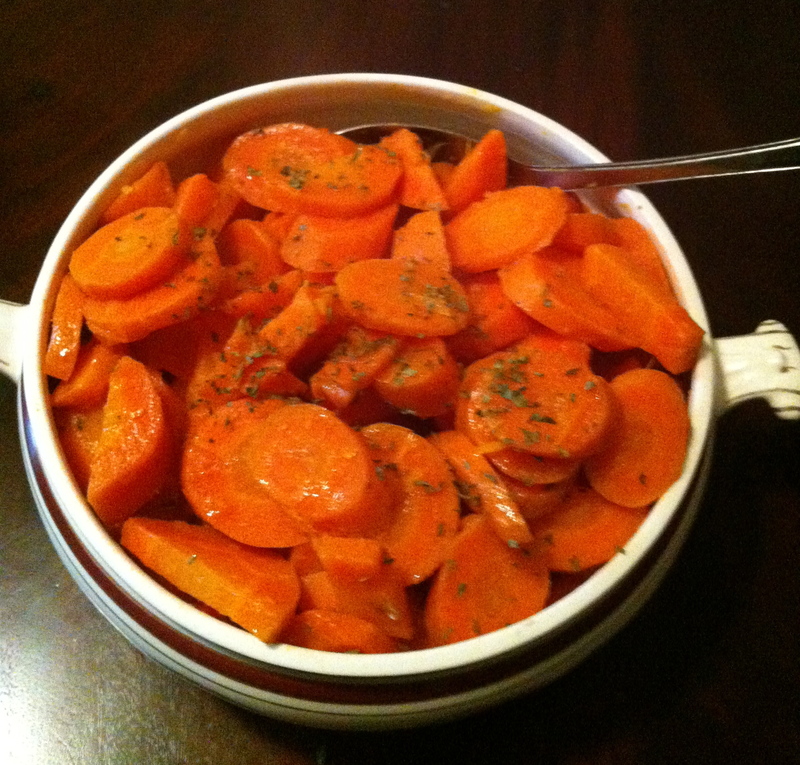 Cook carrots in a medium saucepan, adding enough water to cover. Bring to a boil and then simmer until the carrots are crisply tender. Drain water and return carrots to the saucepan. Add all the remaining ingredients. Continue cooking, stirring occasionally until heated through, about 3-5 minutes. Puree the glazed carrots in a food processor or blender, adding some chicken or vegetable broth and heat. Then add some milk or cream heating gently. Add salt and pepper to taste to make Carrot Ginger Soup. In a small bowl mix together ¼ tsp chili powder, ¼ tsp ground cinnamon, ½ tsp minced garlic, juice of half a lemon, splash of olive oil, salt and freshly ground black pepper. Pour the dressing over your left-over cooked carrots, mixing together for a Marinated Salad with the flavours of Morocco. Add fresh or preserved green or red pepper if you have some on hand. Do you start to get hungry for pumpkin pie around this time of year? Our kitchen and bakery staff are starting to bake up lots pumpkin pies, iced pumpkin squares, pumpkin muffins, and our famous Harvest Gold Soup (made with butternut squash). At our Main St., Stouffville store we have lots of baking and pie pumpkins for baking and cooking and decorating. 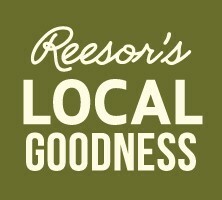 At Reesor Farm Market we have lots of baking and pie pumpkins and individually priced large pumpkins and corn stalks and straw bales for decorating. Our Pick Your Own Pumpkin fields will open about October 5. Please watch our Facebook page for updates. Late summer and early fall is the time of year when almost every food Ontario has to offer is available. Locally grown asparagus or rhubarb and many green peas are finished, but virtually everything else is in season. The range includes ever-bearing strawberries, early squash, peaches, field tomatoes, green and yellow beans, sweet corn, red and green peppers, wild blueberries, fall- bearing raspberries, pie pumpkins, broccoli, cabbage and cauliflower…. you get the idea. 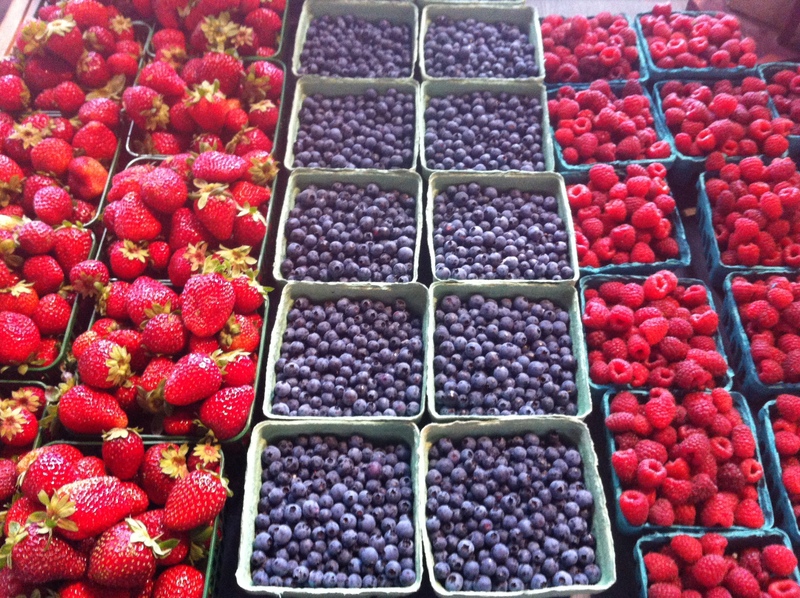 I am reminded of this bounty every day because the farm market and our store in town are so full! I am always inspired by people who recognize that this local food cornucopia will not last all year. They are currently busy freezing sweet corn, canning peaches and making tomato sauce. They know the pleasure of reaching into their home freezer and pulling out a container of their homemade tomato sauce as the basis of a quick and local winter pasta dish. They also know how incomparably superior homemade frozen sweet corn is to the commercially available kind. 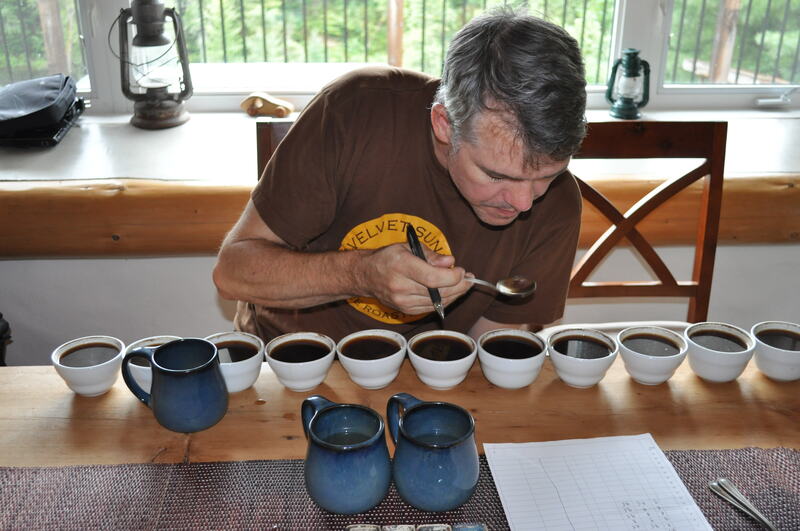 What does it take to get started to become one of these local food preservers? A little extra produce from your garden or market, a little space in the freezer, a new or used poly bag or container, and a little time. That’s it! To freeze sweet corn some of our customers tell us they always cook a few extra cobs every time they eat sweet corn. Then they simply slice the kernels off the cob and put them in a bag in the freezer for winter use. Very easy and very tasty come January! If you’d like a little more information about food preservation, below are a couple of local links. Have a wonderful fall and eat well!